The catalog of minor planets is published by the Minor Planet Center and contains more than half a million entries, including 134340 Pluto. For an overview, see index. The following is a list of numbered minor planets in numerical order. Minor planets are all small bodies in the Solar System, including dwarf planets, with the exception of comets. The catalog consists of hundreds of pages, each containing 1000 minor planets. Every year, tens of thousands of newly numbered minor planets are published in the Minor Planet Circular by the Minor Planet Center on behalf of the International Astronomical Union (see index). As of April 2019[update], there are 523,824 numbered minor planets (secured discoveries) out of a total of 789,069 observed bodies, with the remainder being unnumbered minor planets. The catalog's first object is 1 Ceres, discovered by Giuseppe Piazzi on January 1, 1801, while its best-known entry is Pluto, listed as 134340 Pluto. The vast majority (97%) of minor planets are asteroids from the asteroid belt (the catalog uses a color code to indicate a body's dynamical classification). There are more than a thousand different minor-planet discoverers observing from a growing list of registered observatories. In terms of numbers, the most prolific discoverers are LINEAR, Spacewatch, MLS, NEAT and CSS. There are also 21,348 named minor planets mostly after people, places and figures from mythology and fiction. Approximately 96% of all numbered catalog entries remain unnamed. (3708) 1974 FV1 and 518523 Bryanshumaker are currently the lowest-numbered unnamed and highest-numbered named minor planets, respectively. It is expected that the upcoming survey by the LSST will discover another 5 million minor planets during the next ten years—a tenfold increase from current numbers. While all asteroids with a diameter above 10 kilometers have already been discovered, there might be as many as 10 trillion 1-meter-sized asteroids or larger out to the orbit of Jupiter; and more than a trillion minor planets in the Kuiper belt of which hundreds are likely dwarf planets. For minor planets grouped by a particular aspect or property, see § Specific lists. The list of minor planets consists of more than 500 partial lists, each containing 1000 minor planets grouped into 10 tables. The data is sourced from the Minor Planet Center (MPC) and expanded with data from the JPL SBDB (mean-diameter), Johnston's archive (sub-classification) and others (see detailed field descriptions below). For an overview of all existing partial lists, see § Main index. The information given for a minor planet includes a permanent and provisional designation (§ Designation), a citation that links to the meanings of minor planet names (only if named), the discovery date, location, and credited discoverers (§ Discovery and § Discoverers), a category with a more refined classification than the principal grouping represented by the background color (§ Category), a mean-diameter (⌀), sourced from JPL's SBDB or otherwise calculated estimates in italics (§ Diameter), and a reference (Ref) to the corresponding pages at MPC and JPL SBDB. The MPC may credit one or several astronomers, a survey or similar program, or even the observatory site with the discovery. In the first column of the table, an existing stand-alone article is linked in boldface, while (self-)redirects are never linked. Discoverers, discovery site and category are only linked if they differ from the preceding catalog entry. The example above shows five catalog entries from one of the partial lists. All five asteroids were discovered at Palomar Observatory by the Palomar–Leiden survey (PLS). The MPC directly credits the survey's principle investigators, that is, the astronomers Cornelis van Houten, Ingrid van Houten-Groeneveld and Tom Gehrels. (This is the only instance where the list of minor planets diverges from the Discovery Circumstances in the official MPC list.) 189004 Capys, discovered on 16 October 1977, is the only named minor planet. Its background color indicates that it is a Jupiter trojan (from the Trojan camp at Jupiter's L5), estimated to be approximately 12 kilometers in diameter. All other objects are smaller asteroids from the inner (white), central (light-grey) and outer regions (dark grey) of the asteroid belt. The provisional designation for all objects is an uncommon survey designation. In modern times, a minor planet receives a sequential number only after it has been observed several times over at least 4 oppositions. Minor planets whose orbits are not (yet) precisely known are known by their provisional designation. This rule was not necessarily followed in earlier times, and some bodies received a number but subsequently became lost minor planets. The 2000 recovery of 719 Albert, which had been lost for nearly 89 years, eliminated the last numbered lost asteroid. Only after a number is assigned is the minor planet eligible to receive a name. Usually the discoverer has up to 10 years to pick a name; many minor planets now remain unnamed. Especially towards the end of the twentieth century, large-scale automated asteroid discovery programs such as LINEAR have increased the pace of discoveries so much that the vast majority of minor planets will most likely never receive names. For these reasons, the sequence of numbers only approximately matches the timeline of discovery. In extreme cases, such as lost minor planets, there may be a considerable mismatch: for instance the high-numbered 69230 Hermes was originally discovered in 1937, but it was a lost until 2003. Only after it was rediscovered could its orbit be established and a number assigned. Top 10 discoverers of minor planets account for nearly 90% of all discoveries (as of November 2017; total of 506,410 numbered bodies; corrected MPC-figures). For a more comprehensive list, see List of minor planet discoverers. The MPC credits more than 1000 professional and amateur astronomers as discoverers of minor planets. Many of them have discovered only a few minor planets or even just co-discovered a single one. Moreover, a discoverer does not need to be a human being. There are about 300 programs, surveys and observatories credited as discoverers. Among these, a small group of U.S. programs and surveys actually account for most of all discoveries made so far (see pie chart). As the total of numbered minor planets is growing by the tens of thousands every year, all statistical figures are constantly changing. In contrast to the Top 10 discoverers displayed in this articles, the MPC summarizes the total of discoveries somewhat differently, that is by a distinct group of discoverers. For example, bodies discovered in the Palomar–Leiden Survey are directly credited to the program's principal investigators. Observatories, telescopes and surveys that report astrometric observations of small Solar System bodies to the MPC receive a numeric or alphanumeric code such as 675 for the Palomar Observatory, or I41 for the Palomar Transient Factory, a dedicated survey that was conducted at Palomar Observatory during 2009–2012. On numbering, such an observatory may directly be credited by the MPC as discoverer. objects with an exceptionally long or short rotation period are tagged with "slow" (period of 100+ hours) or "fast" (period of less than 2.2 hours) and link to their corresponding entry in List of slow rotators and List of fast rotators, respectively. This is an overview of all existing partial lists of numbered minor planets (LoMP). Each table stands for 100,000 minor planets, each cell for a specific partial list of 1,000 sequentially numbered bodies. The data is sourced from the Minor Planet Center. For an introduction, see § top. For an overview, see Minor planet, Category:Lists of minor planets, and Category:Lists of asteroids. Euler diagram showing the types of bodies in the Solar System (see Small Solar System body). ^ Sources for asteroid families determined by the synthetic hierarchical clustering method: for asteroids number 1 to 393,347 (D. Nesvorný 2014, Identification and Dynamical Properties of Asteroid Families), and for asteroids 393,348 to 494,645 (AstDys as of 2018, Family classification (A. Milani / Z. Knežević 2014). Following 8 families from latter were mapped to family names of former: Hertha→Nysa, Minerva→Gefion, Klytaemnestra→Telramund, Lydia→Padua, Innes→Rafita, Zdenekhorsky→Nemesis, Klumpkea→Tirela, Gantrisch→Lixiaohua, Harig→Witt. All other families at AstDys that are not listed by Nesvorný do not show an abbreviated family name with a linked "Family Identification Number" (FIN). Instead, LoMP-entries for members of these families display the number of the parent body, e.g. (5) for 5 Astraea. ^ There are a few minor planets that remain unclassified based on the defined orbital criteria. At least five of these bodies have a semi-major axis too large to be an outer main-belt asteroid, and an orbit too eccentric to be classified as a Jupiter trojan (JPL classifies these bodies simply as "asteroids", while the MPC, which never distinguishes between inner, outer and middle MBAs, classifies them as "main-belt asteroids"). Other unclassified minor planets include Mars-crossers (as per MPC) with a semi-major axis of that of an outer-MBA (as per JPL). ^ This table adopts the orbital criteria used by the JPL Small-Body Database, with the exception of (1.) using a different limit to categorize asteroids of the intermediate main belt (i.e. a = 2.5–2.82 AU), and (2.) adding another orbital criteria to outer MBAs (q > 1.666 AU). The values for an object's perihelion and aphelion need to be derived from the semi-major axis and the eccentricity as they are not provided in the data source (q = a(1-e); Q = a(1+e)). ^ Diameters are calculated as a function of absolute magnitude (H) and geometric albedo (p) as documented at CNEOS. While "H" is taken from the Ascii files at the Small Body Data Base, the assumed albedo is taken from an asteroid-family specific figure (Nesvorny, synthetic HCM v.3, as shown in table) or, alternatively – for background asteroids, Jupiter trojans, near-Earth and distant objects – from the body's orbital parameters (as per 2. Taxonomic Class, orbital class, and albedo at the LCDB and/or Johnston's Archive). This is: 0.20 (inner MBAs and NEOs), 0.057 (outer MBAs and Jupiter trojans), 0.10 (middle MBAs with a semi-major axis between 2.6 and 2.7 AU), 0.09 (centaurs and TNOs). The conversion formula for a given albedo and abs. 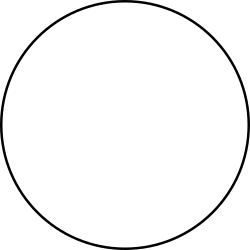 magnitude is: pow(10, (3.1236 − (0.5 × log10(p)) − (0.2 × H))). ^ a b c d "Discovery Circumstances: Numbered Minor Planets". Minor Planet Center. Retrieved 21 February 2019. ^ "MPC/MPO/MPS Archive". Minor Planet Center. Retrieved 21 February 2019. ^ "Minor Planet – Running Tallies". Minor Planet Center. Retrieved 21 February 2019. ^ a b "Minor Planet Statistics – Orbits And Names". Minor Planet Center. Retrieved 21 February 2019. ^ a b Jones, R. Lynne; Juric, Mario; Ivezic, Zeljko (January 2016). "Asteroid Discovery and Characterization with the Large Synoptic Survey Telescope" (PDF). Asteroids: New Observations. 318: 282–292. arXiv:1511.03199. Bibcode:2016IAUS..318..282J. doi:10.1017/S1743921315008510. Retrieved 8 December 2017. ^ Bidstrup, P. R.; Andersen, A. C.; Haack, H.; Michelsen, R. (August 2008). "How to detect another 10 trillion small Main Belt asteroids". Physica Scripta. 130. Bibcode:2008PhST..130a4027B. doi:10.1088/0031-8949/2008/T130/014027. Retrieved 16 January 2018. ^ "Discovery Circumstances: Numbered Minor Planets (185001)–(190000)". Minor Planet Center. Retrieved 21 February 2019. ^ An opposition is the time when a body is at its furthest apparent point from the Sun, and in this case is defined as the time when an asteroid is far enough from the Sun to be observed from the Earth. In most cases, this is about 4 to 6 months a year. Some notable minor planets are exceptions to this rule, such as 367943 Duende. ^ Cowen, Ron (1 November 2002). "Astronomers Rediscover Long-Lost Asteroid". Science News. Retrieved 6 April 2018. ^ "Minor Planet Discoverers (by number)". Minor Planet Center. 5 October 2017. Retrieved 6 February 2018. ^ a b c "JPL Small-Body Orbital Elements "Numbered Asteroids (50 MB)"". Jet Propulsion Laboratory. Retrieved 21 February 2019. ^ "Small Bodies Data Ferret". Nesvorny HCM Asteroid Families V3.0. Retrieved 21 February 2019. ^ "List Of Jupiter Trojans". Minor Planet Center. 28 October 2018. Retrieved 6 February 2018. ^ "List of the Potentially Hazardous Asteroids (PHAs)". Minor Planet Center. 20 February 2019. Retrieved 21 February 2019. ^ Johnston, Wm. Robert (30 December 2017). "List of Known Trans-Neptunian Objects". Johnston's Archive. Retrieved 6 February 2018. ^ "List Of Other Unusual Objects". Minor Planet Center. Retrieved 18 January 2019. ^ Johnston, Wm. Robert (3 February 2019). "Asteroids with Satellites". Johnston's Archive. Retrieved 21 February 2019.